If your furnace stops working or starts giving off an odd smell, you need to call the furnace repairs team at DeZiel Heating & A/C immediately. We’ll perform all Furnace Repairs quickly and professionally, so that you aren’t spending time without heat for your home. Whether you have an electric furnace that isn’t producing heated air or you are in need of a replacement for an outdated gas furnace, our heating repairs specialists can take care of it. Our trained and knowledgeable technicians will perform a full cleaning and safety inspection on your furnace. We’ll diagnose the problem quickly and get right down to the repairs. We’ll always offer honest estimates of our work, and we’ll never move forward on anything without your full approval. Furnace repairs are not a DIY project that you should consider doing. Your West Metro, Wright County, and Buffalo furnace repairs contractor will clean your furnace, make sure it is in good working order, and will also recommend any parts that will need to be serviced or replaced in the near future. Our pricing is up-front and reliable, and we don’t start any work until you approve the quote. That way, you can be sure there are no surprises. When professional Heating System technicians respond to a call, they always have the right kind of tools to do the job right. How often should I have my furnace checked? 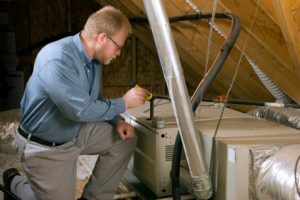 – When it comes to maintenance for your furnace it is ideal to have it checked annually. When is the best time of year to service my furnace? – If you wait unit the colder months to have your furnace checked, then you are running the risk of having a non working furnace when you really need heat for your family. A good rule of thumb is to have it checked before the beginning of Fall. Can I clean my own furnace? – If a homeowner cleans their own furnace there is a chance that the vital components could be missed. If you following a proper maintenance routine then your furnace should be cleaned by a professional. When should I change my furnace? – A typical furnace can last for 14 years, with good maintenance and cleaning. If your interested in extending the life of your furnace you can ask about our Plenum Heater Installation. Without proper maintenance and regular repairs, you can do a lot of damage to your furnace just by doing nothing at all. One of the easiest way to tell your furnace is becoming less efficient is by watching your heating bills. A lot of times, problems with furnaces may seem very minor, but they’re not only most likely costing you a ton in energy costs—if they go untreated, you’re setting yourself up for a much larger and more expensive repair. You’ll find that our West Metro, Wright County, and Buffalo furnace repairs team is made up of some of the most reliable and knowledgeable heating technicians in the area, and we actually CARE about you and your heating problems. If you are looking for Furnace Repairs Services then please call 763-684-3965 or complete our online request form.